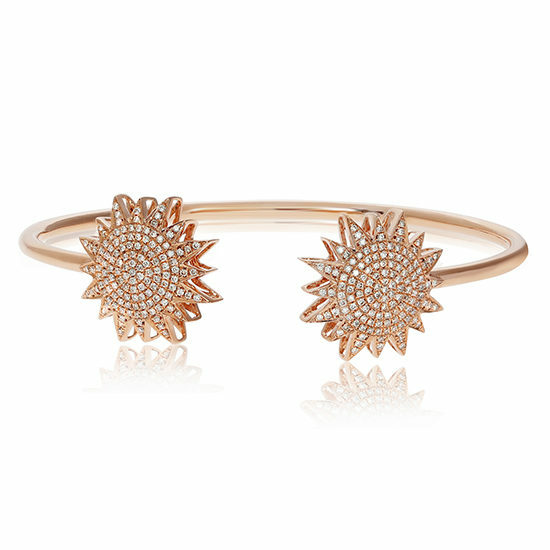 Diamond starburst cuff bangle in 14k rose gold. This bracelet contains a total of 268 diamonds with a total diamond weight of 0.80 carats of round diamonds. 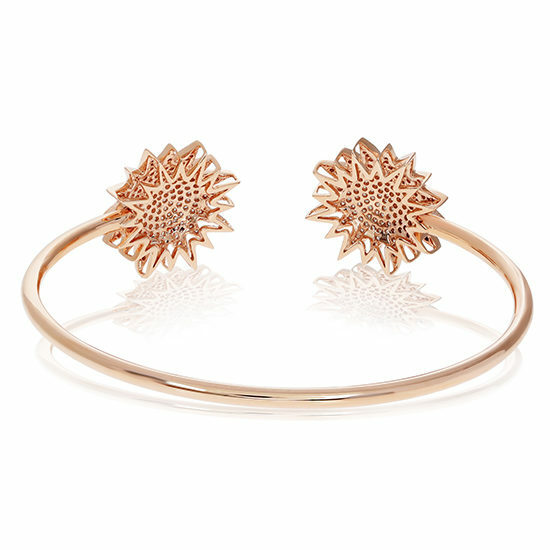 Bracelet features beautiful Diamond pave work with concentric diamond circles and diamonds on the rays of the starburst pattern.